Is there someone special in your life that you love more than they will ever know? We have a card for that. 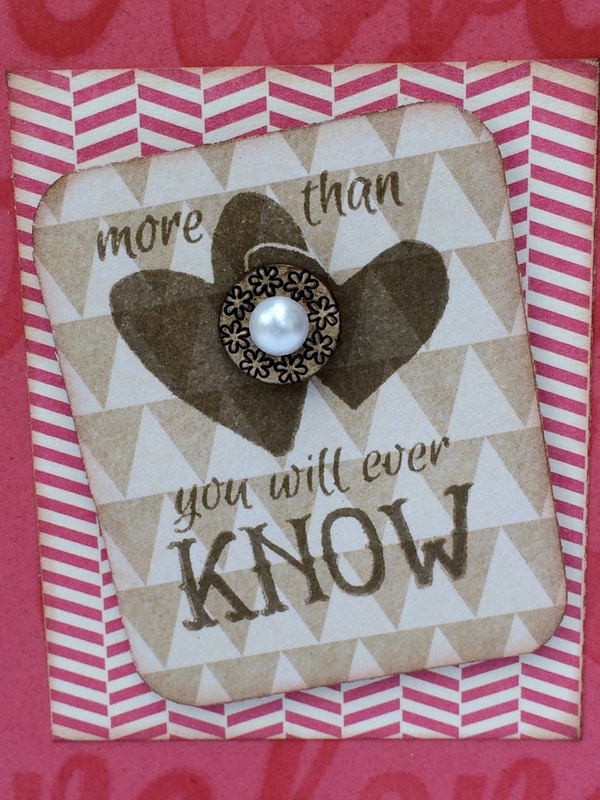 Utilizing the brand new Hampton Art Stamp set and some scraps this is a lovely card to share. 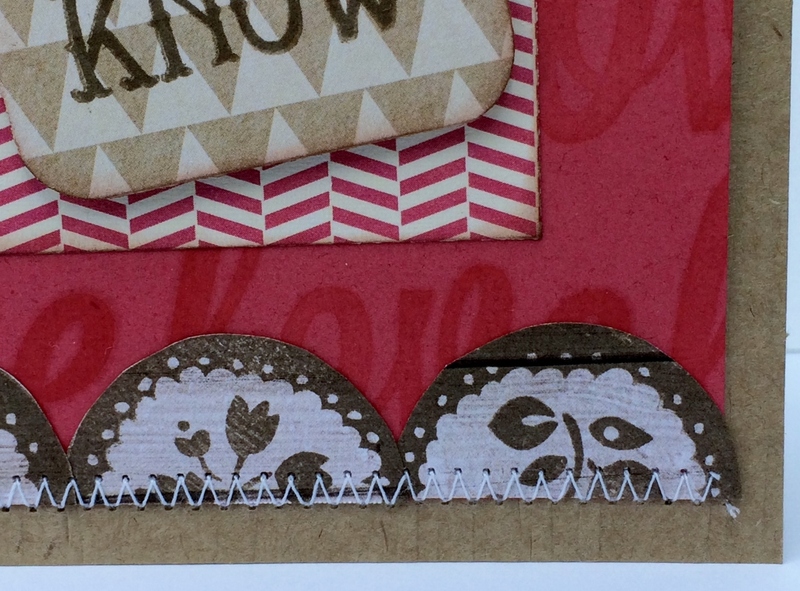 Using three different stamps from the same set I was able to create the background, lace and middle sentiment mat. I began by stamping in brown ink onto white woodgrain paper the “lace” circles and cutting them in half to make a scallop on each end. Next using red ink I stamped the “love” stamp onto the coral cardstock to create the background paper, see photo above. Then I adhered it to the kraft card base. Then I layered on the lace pieces and then using my sewing machine sewed them onto the card base as shown. Then I cut out the Jillibean –Record Your Numbers mini chevron paper as a mat and attached to card base center. Then I stamped the main sentiment onto the Jillibean Soup- kraft triangles paper and cut out as shown rounding the corners and inking the edges with brown ink. Then using foam dots I added the sentiment panel at an angle. I still needed something to finish it off, so I added a Jillibean button with a pearl layered on top. Now that special someone can know how much they mean to you, start stamping!